No, you can’t get away from Apple. As modern technology continues to advance, we have access to more and more at our fingertips. You’ll rarely find a person without their smartphone on them. With that said, the technology in our vehicles is advancing just as quickly. Automotive manufacturers such as General Motors have taken note of the craze of smartphones and have developed hands- free technological features in their vehicles accordingly. Apple CarPlay and Android Auto were released in 2016 models by selected manufacturers. 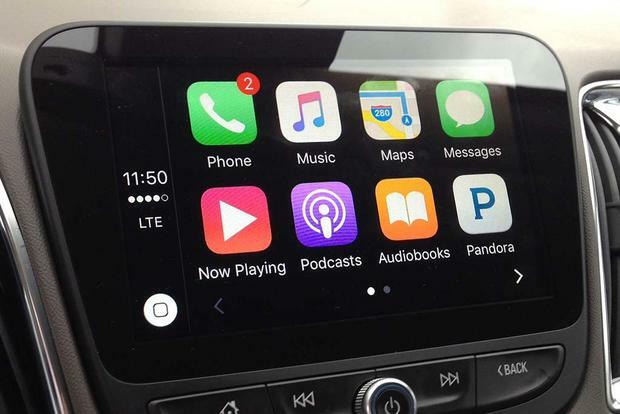 Now more than 200 vehicles are equipped with Apple CarPlay. Apple CarPlay is a smarter, safer way to use your iPhone in your vehicle. The main focus of CarPlay is to promote safe driving. When your iPhone is plugged in, you don’t have regular access to your phone. The only features you have available to you are the ones you see on your vehicle’s built-in display. You are able to have access but also focus on the road ahead. The following features include maps, messages, phone, music/podcasts/ audiobooks. You can ask for directions, make phone calls, send and receive messages via Siri or listen to your own music. 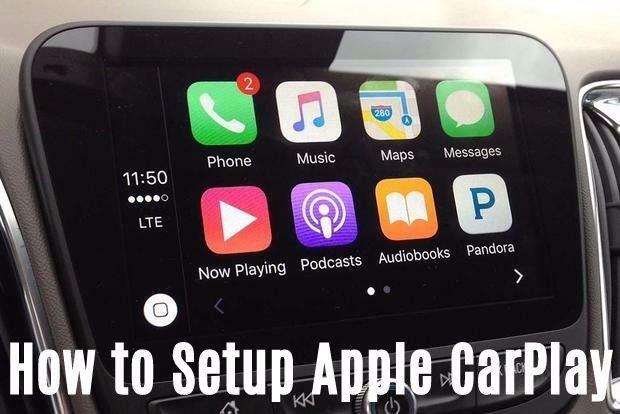 CarPlay is extremely simple to set up and even easier to use. However, your vehicle must be compatible with Apple CarPlay. Click here to check if your vehicle is compatible. 1. Plug in your iPhone via power cord to USB port in vehicle. 2. If your Apple CarPlay Home Screen doesn’t appear, select the CarPlay logo on your vehicle’s built-in display when connected. 3. When you select this option, the built-in screen should appear in comparison to a home screen of an iPhone with the same icons. 4. If you wish to have voice command available, Siri must be activated to do so. Below we have a video demonstrating how to set up Apple CarPlay on a 2017 Buick LaCrosse. There you have it! It’s as easy at that. Everything right at your fingertips with safety in mind.